Help by purchasing items from our Amazon Wish List! Help the Frenchies in the Village by donating an item on our Amazon Wish List. We can always use blankets, leashes, toys and harnesses for our fosters. Subscribe to BarkBox and help FBV...plus your dog(s) will love all the toys and treats!! BarkBox subscribers get wonderful toys and treats delivered each month for their dog(s) - and can help the Village at the same time. The Village gets a $15 donation for every subscription if you use code WEMBBBX1, and you save $5 off of your first BarkBox. Use AmazonSmile to donate to FBVillage! If you shop on Amazon, consider using AmazonSmile! 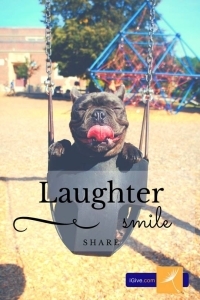 Choose French Bulldog Village as your charity and start all of your Amazon.com shopping at smile.amazon.com, and Amazon will donate a percentage of your purchase amount to the Village. 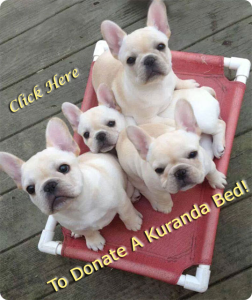 Donate a Kuranda dog bed today! We have a Kuranda Dog Bed wish list. If you'd like to donate a bed for our foster dogs, Kuranda makes them available to rescue organizations at substantially discounted pricing. The beds ship directly to FBV. It's easy! Just click on the image to the left. Support FBVillage by walking your dog!! 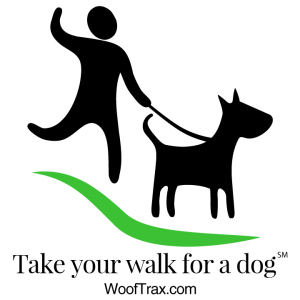 Walk for a Dog by WoofTrax is a free smartphone app that donates to rescue organizations for every walk you take with your dog. The more people actively walking and using the app, the greater the donation to your selected animal rescue. Use the app each time you grab for the leash, because whether it's just a walk around the block or a five-mile hike, every Walk for a Dog counts. Help FBV by using iGive! Please consider doing your online shopping through iGive! Simply fill out the form at iGive.com by following the link below. Then use their site, apps or Button to shop at over 1,700 stores. Each store will donate a percentage of your purchase to FBV. Make sure to choose French Bulldog Village as your charity. Thank you for helping us while you shop!